Developed in 2007 by Dennis DeMille and Dave Emary, the 6.5 Creedmoor is a shortened and improved 30 TC cartridge case that was inspired by the .308 Winchester design. This short action design was created to maximize case capacity and a wide range of loading lengths, while still fitting in standard short action magazines. With the correct twist barrel, the versatile 6.5 Creedmoor can take advantage of the wide range of bullet weights available in 6.5mm. 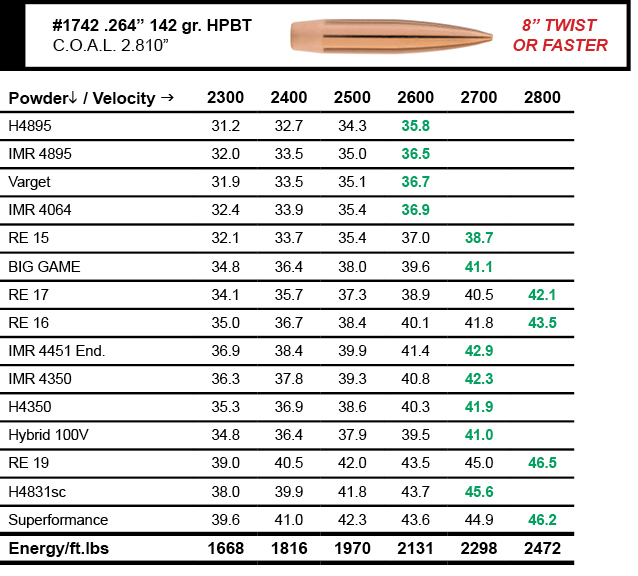 Reloaders should keep in mind that the 6.5 Creedmoor works best with medium to medium-slow powders such as H4350, Varget, Win 760, and RE-17. The light recoil and adaptability of the efficient 6.5 Creedmoor cartridge has already proven itself in high power, precision rifle series and benchrest competitions. Couple that with respectable barrel life and its intrinsic accuracy potential and you have a recipe for success which should insure its legacy for decades to come. The 6.5 Creedmore is not the super case that will change anything for the better. It is loaded with a 1000 granules of media hype topped off with a 500 grain something new bullet. It will probably cause the demise of a perfectly sensible case known as the .260 Remington. The 260 is a 308 necked down . l don’t understand your last part of your statement. Not being a Target shooter, I had the same response initially. Then I learned something and was no longer ignorant on the cartridge. You can’t load 147gr ELD bullets in a .260, at magazine depth, the ogive will end up inside of the neck. I shoot both and the 260 Remington outperforms the 6.5 Creedmore in every way I mostly use the 6.5 Creedmore for kids and guests that take hunting. I usually shoot the 130 grain Accubond from 260 and shooting the new Game Changer from the Creedmore. I will say the Game Changer performs really well on game. It doesn’t come apart as fast as the Nosler ballistic tip and the quality on hornady has been dropping off. Yes and the magazine capacity is for a cartridge is predetermined to be 2.800 OAL , so the Creedmoor is suppose to be better, by reducing case capacity for the powder from the 260 Remington and using less magazine room that it has, otherwise wasted ,, ok . I have a blow up kids pool that you can play with, while I use the Olympic size pool so I can make bigger waves . Does not compute and has left Mr Spock befuddled …. Smaller is better , yea , duh ! Those still ignorant on the 6.5 Creedmoor, astound me. The case capacity is not really reduce when you consider the case has less taper, you give up a whole 50 fps, while reaping the benefits of loading 147 ELD bullets, at mag length. WOW ! Your replies are no doubt true , but its about selling guns and ammo. Its a new toy for grown-ups to play with. If the manufactures just sold the old standbys they would under. They need the rifle designs, new cartridges etc to stay afloat – and we NEED them . Thomas I agree , its a failure of marketing on Remington’s part, “nothing new there” should be their motto. New cartridges come and go so fast that if you blink at the stop light you missed it altogether . Have re-chambered several 6.5X47’s to 6.5 Creedmoors for customers , next they will be going to the 260. Remington is missing the market again by not loading match grade ammo , I have to shake my head in disbelief at their losses , absolutely incredible their marketing dept is sitting on their thumbs . 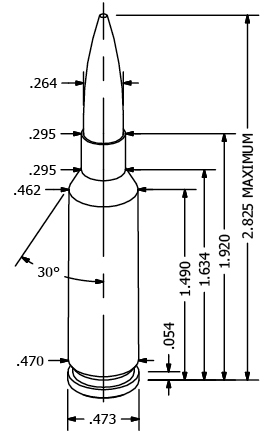 6.5 CM or 6.5 CRDMR for short, is a centerfire rifle cartridge introduced by Hornady in 2007 as a modification of the .30 TC, which was based on the .308 Winchester. It was developed in partnership by Hornady Senior Ballistics Scientist, Dave Emary and Dennis DeMille, the VP of product development for Creedmoor Sports, hence the name. The cartridge was designed specifically for long-range target shooting, although it is also achieving success in game hunting. Bullet for bullet, the 6.5mm Creedmoor achieves a slower muzzle velocity than longer cartridges such as the 6.5-284 Norma or magnum cartridges such as the 6.5mm Remington Magnum. However, due to its overall length of 2.825 inches (71.8 mm), it is capable of being chambered in short-action bolt-action rifles and AR-10 semi-automatic rifles. They left out the one of the most important parts and that is because of the case design, it allows longer higher BC bullets to be used in the short action, unlike the .260 or .308. I had lived and breathed the .308 until just by chance I became the owner of a custom built 6.5 Creedmoor almost a year before any could be bought off the shelf, but that is story for another day. Over the years I have built several rifles chambered in 6.5 Creed and shot it in competition with great success and have invested countless hours in load development. By the way, biggest single improvement I had with the Creed was when Laupa started making brass for it . I am saying all this to say, some of you guys may not like it, but the fact is, it is the real deal! People would not still be buying, building and shooting them if they were not ! If you looked at it with a open mind, you will see it does things the .260 and .308 will not, like shoot farther with more velocity and accuracy. 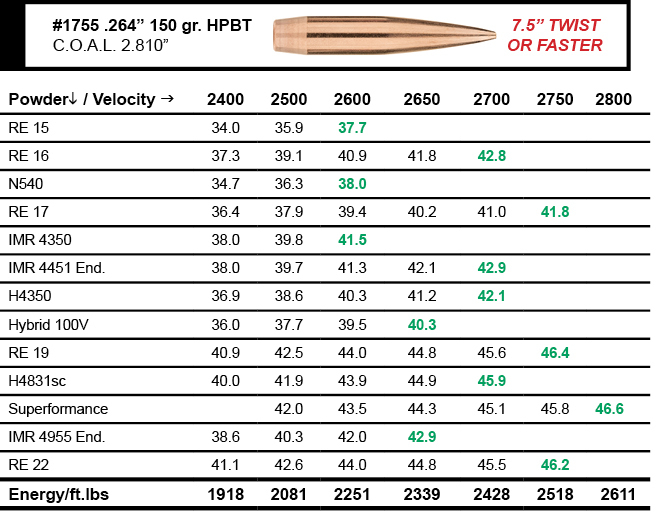 The Creed is not faster than the Swede or the 260 when all are loaded with the same bullet, barrel length, and to the same pressure level. The US Army just a year ago to two years ago tested some where around 30+ bullets in 6.5mm. They tested .260 Rem. and 6.5 Creedmoor. They tested both large primer pocket and small primer pocket cases in both rounds as well. Testing included velocity and accuracy from 100m out to 1k yards and it might even have been 1200 yards. 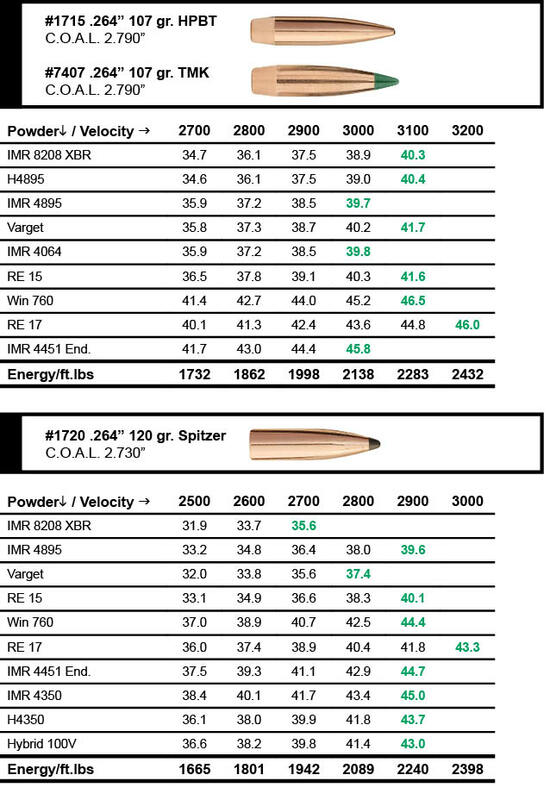 In the end there was no clear bullet that flat out performed another (147gr Hornady’s and 150SMk where not available at the time in fact when testing started the 147’s just had come out when the bullet testing was started) ‘when it came down to the .260 and 6.5CM again they said one didn’t have an advantage on one over the other. They tested barrels in 1-7 twist and 1-8 twist. How do I know we made a vast majority of the ammunition pressure test and accuracy test barrels and quite a bit of the data was shared with us. That being said I do have guns in both .260 Rem. and 6.5CM as well as 6.5×55 and I like them all. I bought a 6.5 Creedmoor chambered rifle recently. And it was in spite of the hype, not because of it. The reality as I see it is that .260 will never get its due because Remington as the sponsor company is awful. It’s a little like how a kid with all kind of promise never realizes it because his parents are losers. Remington hasn’t had a solid new product introduction in forever. And what they have introduced has been terrible (pistols, mostly). Hornady has momentum. Their products are all over the shelves now– ammo, loading components and tools, etc. Lapua making brass sealed the deal for me. Now I can load super-premium match ammo in Lapua brass, or I just buy some nasty White box. 6.5 ammo is very common where I live. Not as common as .243 or .308, but common enough to make the difference irrelevant. 6.5 is the “tastes like chicken” caliber. Ballistically, it’s just a swedish mauser in a short action that can launch high BC bullets. But it turns out, that’s an excellent sweet spot to be in. The 6.5 continues to gain popularity after more than a decade. If it was going to fizzle out, it would have done so by now. 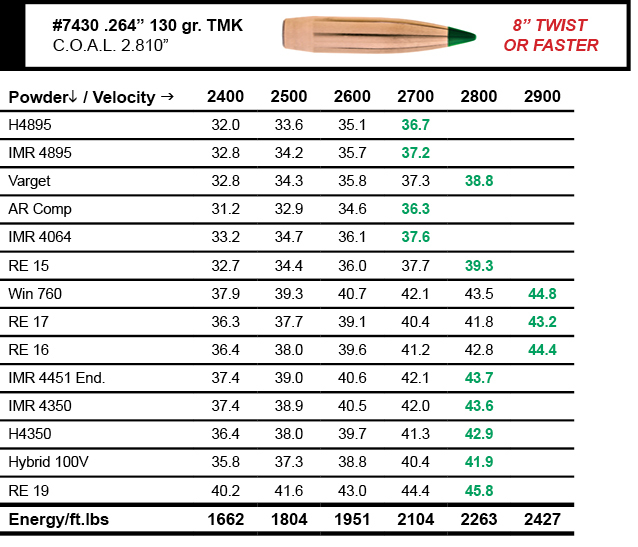 6.5 is doing to .308 what .308 did to 30-06, only without the benefit of military adoption. That alone is impressive.